Dark smoky, stout aromas of licorice, molasses and blackberry feed into a jammy palate with rock-hard, clamping tannins. Plum, blackberry and blueberry flavors are loud and intense, while this finishes with density, complexity, chewy tannins and a jammy essence. Drink through 2028. Strong classy oak aromas lead blackberry and baking-spice scents on a potent but textbook RDD nose. This old-vines wine from a benchmark year is tight-fisted and linear in feel, with lemony acidity. Fully oaked flavors of blackberry and cassis sit comfortably on a bed of herb and spice notes, while this is oaky, spicy, steady and integrated on the finish. Drink through 2027. Alidis is not the most consistent winery in Ribera del Duero, but this gran reserva gets it mostly right. Earthy, slightly mulchy and rubbery berry aromas lead to a saturated bulky palate. Saucy earthy flavors of black fruits finish gritty and a bit leathery, with a jammy weight and a lasting note of black coffee. This Tempranillo’s red berry jam and oak aromas lean savory and saucy. On the palate, lip-smacking, tomato-like acidity sends a jolt through plum, currant and oak spice flavors, the oak lingering on the finish. Drink over the next 15 years. MICHAEL SCHACHNER is a Spanish and South American Editor for Wine Enthusiast. He usually writes about wines from Argentina, Chile and Spain . 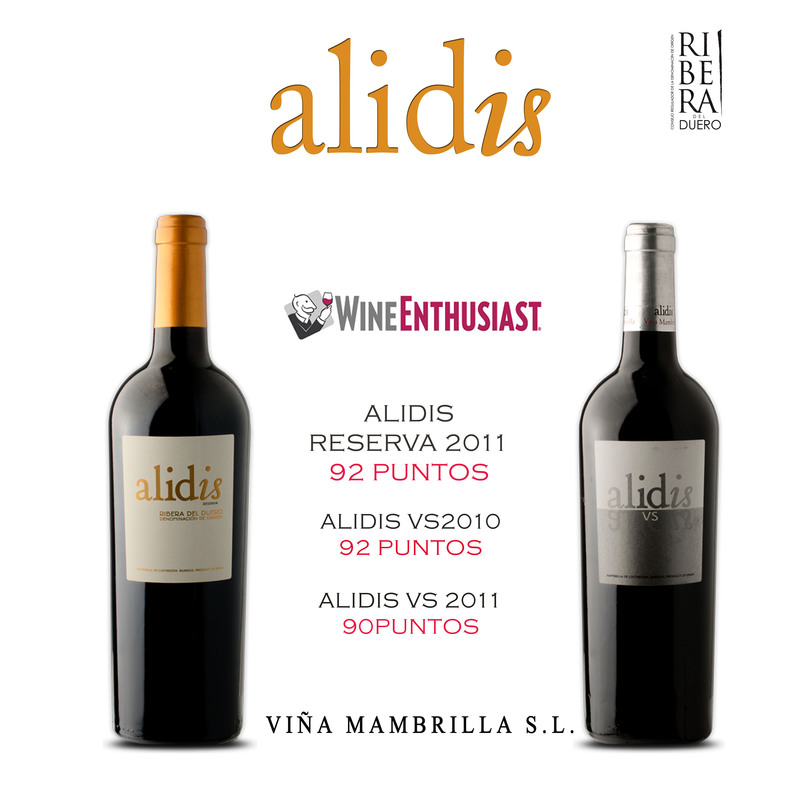 Two medals for Alidis wines in Vinalies International.